The house, while not falling down, is in disrepair. The aluminum siding is bending off and has lost its luster. The chips in the concrete steps need a sweeping, and the iron pipe railing is rusting. The low roof lines on the one-story additions now look awkward, like a trailer added to the original Gilded Age-almost mansion. The renovations which were new and innovative and clean in the 1970s show their age. This house just got its demolition orders, approved by the local historical commission as not having historic significance. They are most likely right, since no one famous lived here, or nothing transformational happened here, or it does not represent broader significant building styles. It does, though, reflect the history of the city, catching the rise, riding the good times, and then sharing the hard times. Reading the house and its inhabitants tells of industries coming and mostly going away. It tells of adapting to new circumstances, even in its demolition. Think of it as one small graphic icon, on a SimCity computer game, a historic one, which shows how events and trends in one part of the city, or even the nation impact a single house. The game allows its players to build a city, giving them a pot of money to make adjustments and watch a city grow. Add a road, or an industry, or a new electric plant, and watch the city respond. Watch a single property respond. Built in 1894, at the top of the plateau heading into the current historic central district, the house at 276 South Street joined a rapidly growing city. Pittsfield had just achieved municipal status three years prior, and it was about to go through a twenty-five year period as the second fastest growing municipality in Massachusetts. SimCity houses and factories popping up all over, as the city expanded in all four directions. Population grew from 17,252 to 39,607. Houses increased from 2,735 to 6,022. SimCity would have shown by mid-century the Berkshire Medical Institute, a training facility just across South Street in operation since 1823. Surrounded by undeveloped lands, the irony of this medical anchor to the south end of town becomes evident only when 276 South Street converts to medical offices in 1956. But, we get ahead of ourselves since, the Medical Institute changed to a high school by 1876, and then, reverted to residences by the time 276 was built. The house was built in a Gilded Age style, without the Victorian trappings which reflect other mansions of the truly wealthy as summer homes of New Yorkers and Boston Brahmins who were building elsewhere in the Berkshires in the same era. Its three stories above ground, hip roof joining gable fronts on three sides, and a pillared carriage porch at the front door smell of wealth, but not quite as grand as Edith Wharton’s Mount, just a few miles down the road. The first owner was also an out-of-towner, a Robert G. Johnston affiliated with the Saratoga Star Spring Company in New York. The house lay on the main thoroughfare entering Pittsfield from points south, and an electric trolley rolled by the house. That may have been what drew its next owner in 1904, Samuel G. Colt, an engineer employed at various places over the ten years he owned the house, presumably jumping on the trolley to make his way as far as Cheshire where he was employed briefly. Or, since he was the grandson of one of the town’s paper mill owners, whose family owned property on the other side of South Street, he may have had the resources to purchase an automobile by then. SimCity would show the impact of a trolley and car as houses pushed out further and further from the city center. It would also show for the first time, just before Colt moved to 276 South, the arrival of General Electric in Pittsfield, which purchased Stanley Electric, gradually becoming over the next century the preeminent industry, employer and polluter in the region. The next owner, Cornelius Wright bought the house in 1912, and, when he died, his widow Lydia lived there until she died in 1948. By then, the trolley had disappeared, with the last rails dug up for scrap metal during World War II. For the next 7 years, the building belonged to three different owners, but was listed in city directories as a rooming house, called The Chateau. Buses had replaced the trolleys, making it convenient for boarders to get to work. Or, perhaps these boarders were in the city for too short a time, as there were no names listed in city directories. That suggests that these boarders were here on summer holidays, the first wave of automobile vacationers taking in the activities at the Colonial Theater just blocks away, or at Tanglewood, which had opened in 1940. Even winter boarders may have come for a weekend of skiing at Bosquet, which opened in 1932. Then, on our SimCity game, we’d see the graphic house icon house change colors, converted to a medical office building, with offices for five doctors in 1956. This could have reflected the growing demand for doctors, fueled the baby boom of the 50s and 60s and the growth of industry, led by General Electric. Population had grown to over 50,000, and GE employed as many as 13,000. This growth and ethnic demographics of a city with a large Italian and Irish descendent population also led to the building of St. Theresa’s Catholic Church, next door. By the 70s, the main house no longer sufficed. For three years after 1979, renovations were undertaken to add doctors’ offices on the inside of the main building, including changes to the spaces inside and a one-story addition built on to the side and rear of the main building to house the medical offices. Lawn was taken over as a parking lot to accommodate the patients who came to the 14 different offices housed in the facility. One of these doctors eventually came to own the building, and he sold the property in 2011 to Berkshire Place, a retirement/nursing home in operation since 1888, just a few years before 276 was built, just a few hundred yards closer to the city center. Berkshire Place also bought St. Theresa’s next door, which had closed its doors in 2008, along with six other parishes in the county. An expanded nursing home facility brings witness to a declining church attendance nationally and an aging local population, catering as well perhaps to people who vacationed here and came back for quality-of-life retirement. That would be me. So, does this property rise to the level of historic significance? Probably not, still. Certainly not any more so than most houses, which, like the rings of a tree, help us read broader trends and changes. Time to log off SimCity, and start a new game. 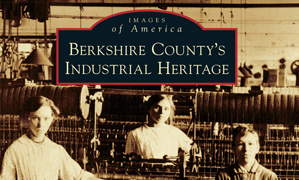 This entry was posted on February 15, 2013, 2:34 pm and is filed under Berkshires, History in our surroundings, Public History. You can follow any responses to this entry through RSS 2.0. You can leave a response, or trackback from your own site. Update: turns out that many of the boarders were short-term visitors, not to Tanglewood or Bosquet, but to General Electric which used 276 South Street as temporary quarters for young managers coming to learn the business, before either settling here more permanently or moving elsewhere in the company. This still adds weight the fact that this house reflected the broader trends and developments of the town and the region. It’s awesome to pay a quick visit this site and reading the views of all colleagues about this piece of writing, while I am also keen of getting knowledge.